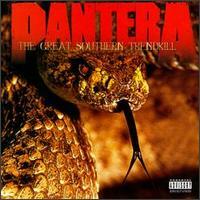 So, the song is typical Pantera mid-tempo, heavy riffing, Phil Anselmo's characteristic snearing vocals and lyrics. The song's about digging deeper for the truth and not accepting things at face-value. I will say that the cowbell in this song sounds like they went out to the pasture outside the studio in Texas where they recorded the album, ripped the bell from a cow's neck and slapped on Vinnie Paul's drum kit.